Founded in 1986 by Mark Stutrud, Summit Brewing Company has stayed close to its roots, serving the Upper Midwest and Great Lakes region of the United States. Summit produces 12 varieties of premium craft beer, including year-round, seasonal and limited release beers. Summit Brewing constantly faces the challenge of balancing growth, sustainability and quality while brewing the best beer possible. The brewery’s experienced and dedicated team provides the foundation for the brewery’s success. In 2009, Summit began a partnership with Pentair when Summit purchased its first Haffmans quality control instrument. When we purchased the DGM [a carbon dioxide (CO2) Gehaltemeter], this was our entry into the Haffmans world,” said Tom Thomasser, Chief Operating Officer at Summit Brewing. Since then, Summit has come to trust and rely on a wide range of Pentair Brewing Solutions. Summit upgraded from the DGM to the CO2/O2 Gehaltemeter, type c-DGM, that provides CO2 and optical oxygen (O2) measurements that replaces older O2 measuring technology. According to Paul Sadosky, Summit’s QA/QC Manager, the c-DGM is easier for operators to use, requires less maintenance than other dissolved oxygen (DO) instruments as it doesn’t need frequent calibration, has better measurement accuracy than other technology, and saves labor by having both CO2 and O2 in one instrument. To extend Haffmans’ quality control technology throughout the brewery, Summit installed in-line O Gehaltemeters, type OGM on the wort, keg filling, bottling, and water lines. 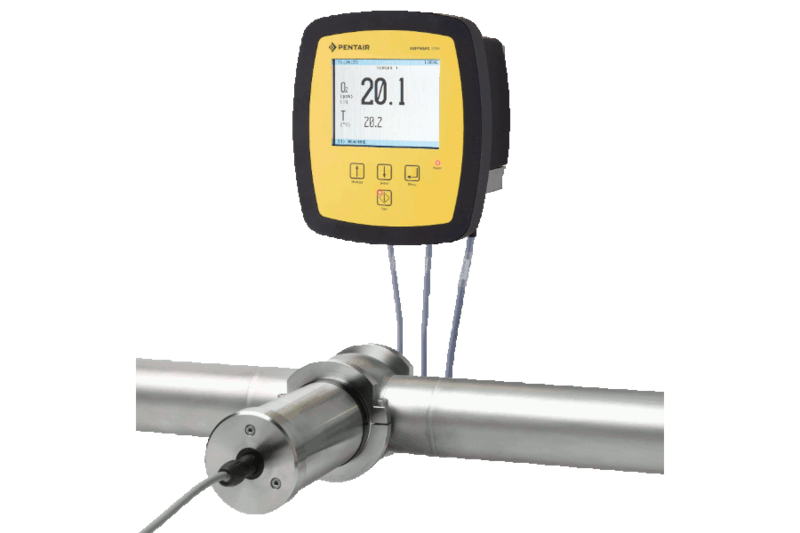 By measuring O2 “in place” Summit has immediate insight to the processes, which allows operators to more quickly spot problems and provides better process control. As a safety feature, thresholds are set and the process is stopped if parameters exceed the desired. 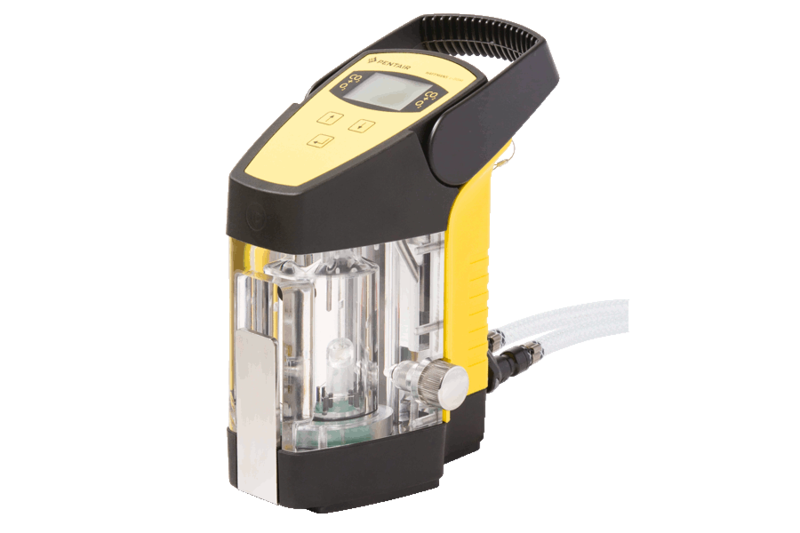 Summit’s most recent quality control addition is the Inpack TPO/CO2 Meter, type c-TPO that provides differentiated measurement of headspace oxygen (HSO) and DO for immediate insight into the performance of the filling operation. The most significant benefits Summit receives from the c-TPO are extending the beer’s shelf life and flavor stability. When Summit converted its filtration system from sheet filters to a centrifuge the change created the need for deaerated water, as any O2 in the water could contaminate the beer and effect its shelf life and taste. Using hollow fiber membranes and low pressure, the Haffmans Membrane Deaeration System (MDS) achieves a very low residual DO content in the deaerated water. Because there is virtually no O2 in the water processed through the MDS, deaerated water is also used as a seal in pipes to protect O2 from crossing barriers and to push out the filtration lines. 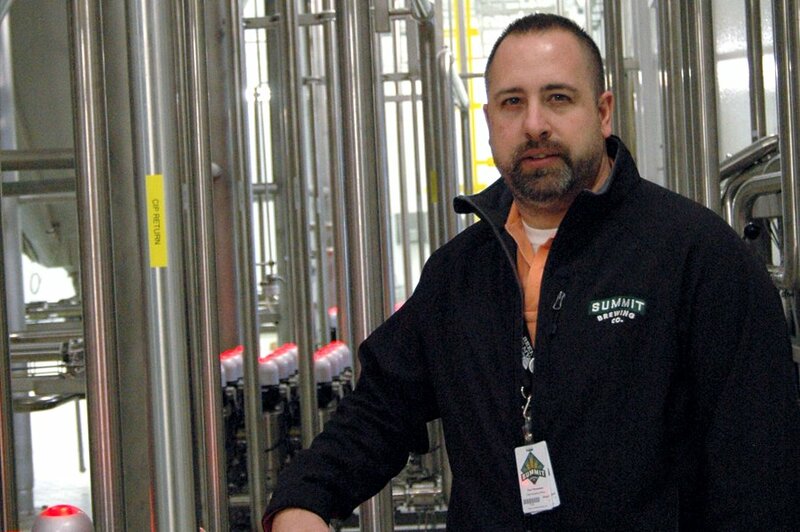 “Deaerated water equals quality in the brewing process,” said Eric Harper, a Summit brewer. 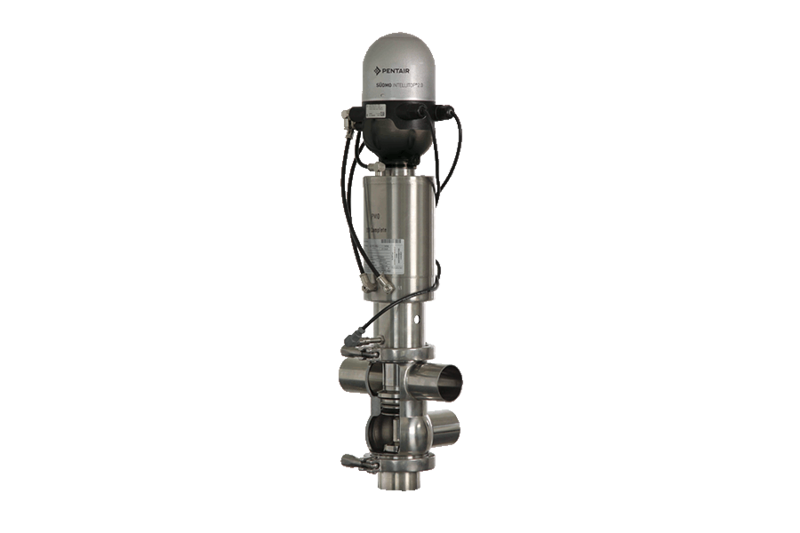 Just as the deaerated water from the MDS equals quality, Summit’s most recent addition from Haffmans, a Carbo Controller (CCR), equals consistency. Summit naturally carbonates its beer, but at times needs to add CO2 at the bright beer tank. Originally, a carbonating stone was used and while this process worked, it had limitations. Haffmans’ CCR allows Summit to supplement natural carbonation while processing. This saves time and preserves the desirable characteristics of the beer. As part of a $6 million expansion that was completed in June 2013, Summit added 7,632 square feet of cellar space with twelve 600-barrel fermentation vessels that doubled production capacity to 240,000 barrels per year. As part of this project, Summit installed Südmo’s DSV Complete Mix Proof Valves to automate the new cellar. As Summit still operates its original cellar, which uses manual hose connections, the improvements provided by Südmo’s valve technology is very apparent to Summit’s brewers. 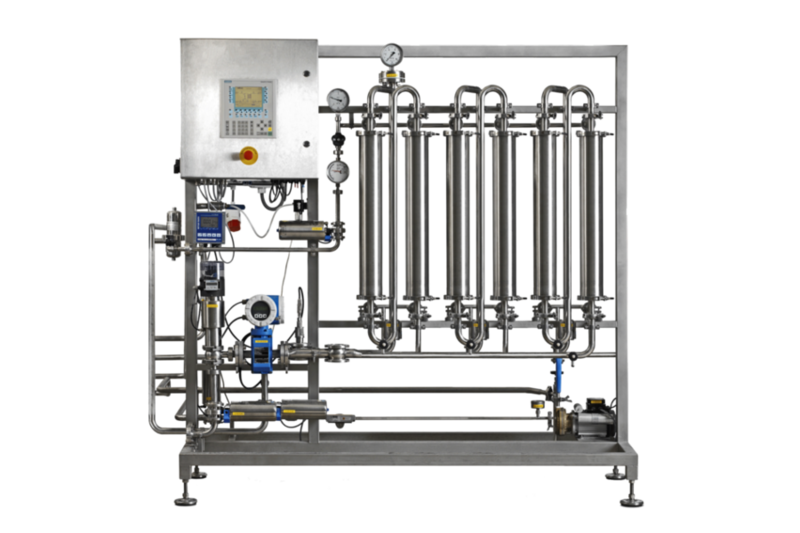 In addition to saving labor, the valve automation also provides a safer work environment due to the integrated CIP system, which eliminates the need for employees to move chemicals around. Also, in the new cellar the tank tops are hard piped to vent the CO2 out of the building. This removes the issue of potential CO2 build-up in the cellar room.